We visit the slopes tirelessly each season, desperately quenching our thirst for the best powder and new experiences. Pooling together knowledge from all of our inhouse experts at Iglu Ski, we've come up with the most authoritive ski guides around to make sure you get the most out of your ski holidays. Browse away below to discover everything from beginner ski resorts, the best apres ski spots, ski holiday checklists and much much more. Our expert family ski holiday guides focus on every part of the process including skiing with children, skiing with infants, skiing with toddlers, skiing with juniors and skiing with older children. You can also check out the very best family ski resorts and make savings by keeping an eye on our family ski deals. Those of you seeking a spot of luxury skiing will need to look no further to find your ideal luxury ski holiday. 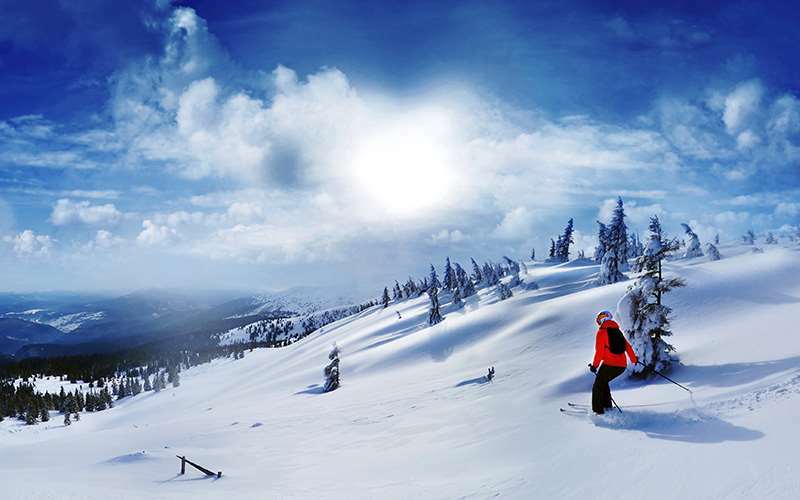 Our guide to exclusive ski resorts makes sure you can plan in the perfect spot for you. Following that, you'll be all set to choose a luxury ski chalets. And don't forget to follow our luxury ski deals as there's always a bargain just waiting to be snapped up. If you consider yourself a pro of the slopes and seek the most challenging pistes around, then you'll definitely need to take a look at our favourite ski resorts for experts, which covers all the of the best black slopes around. Browse our favourite beginner ski resorts to find the most suitable place for your first ski holiday. Once you've decided, follow up with our expert advice on planning your first ski holiday. And for all the little odds and ends, our beginner ski trip checklist ensures you won't forget a thing. Everyone like a bargin, those of you with eyes like hawks would be wise to bookmark our ski deals and bargain ski holidays pages to get the best offers, the second they come through. Meanwhile, you can leaf through the all of our cheap ski deals and half price chalets to keep the cost of your holiday at its lowest. If you've left it right to the very last possible moment, don't worry! Our last minute ski holidays will give you all the info you need to getting the best deals going. And not forgetting our tips on saving travel money by driving to the Alps or catching the snow train. See lift passes for approximate prices for the major resorts.